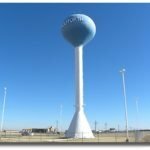 The iconic blue water tower in Wolfforth near the corner of FM 179 and Donald Preston Drive recently underwent its final renovation. 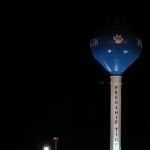 New towers and LED lighting was added to enhance the look of the water tower at night and to make it more visible to visitors as they come into the City. 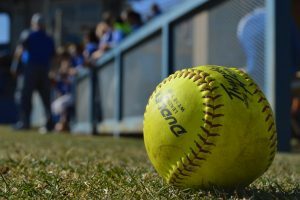 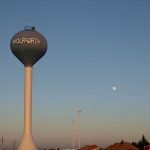 This project began in 2014 as part of the $6.5-million overhaul of Wolfforth’s water storage tanks and water treatment facilities. 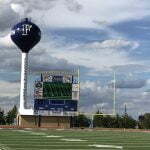 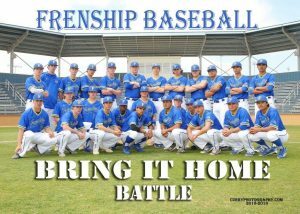 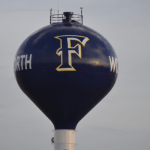 At that time, the classic blue water tower was repainted dark blue and new lettering and the Frenship “F” were added. 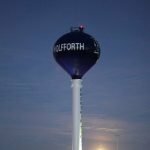 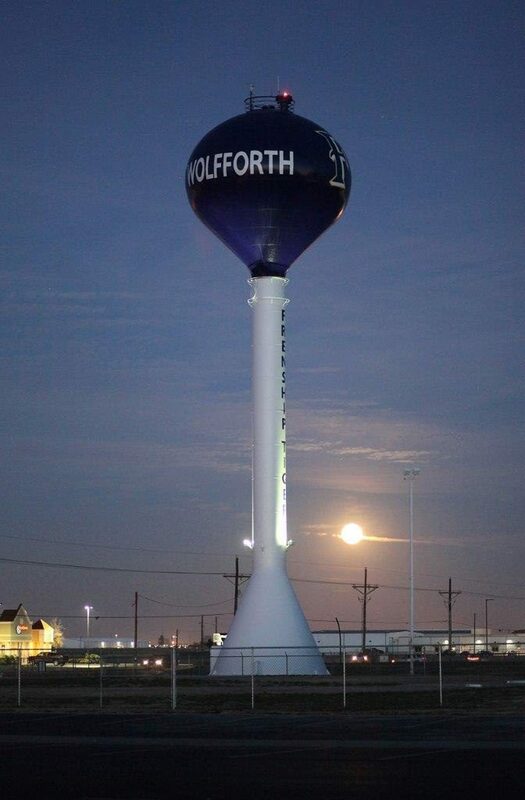 The City’s identity is centered around the blue water tower that was originally constructed in 2001 and quickly became a well-known Wolfforth landmark.